A Certified Financial Planner, having spent 14 years working for Canada’s largest financial planning firm serving clients needs and managing a team of 90 wealth managers, Edward made a critical decision in 2010 to move to Dubai and establish CCM Consultancy with his Partners. An accomplished leader with almost 20 years of leadership experience in Human Resource Development, Sales and Financial Services, where he has proven his ability to manage, motivate and influence others, Edward maintains his commitment to realizing individual and team success for clients. 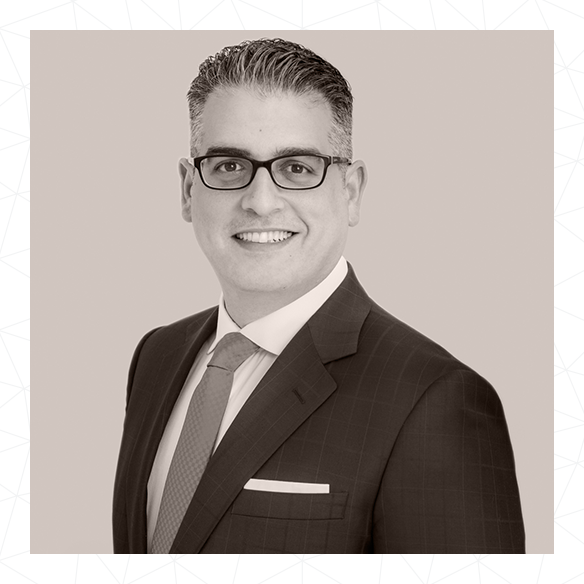 As Managing Partner, Edward oversees the business in the Middle East, Canada and the USA, while delivering keynote speeches with a focus on leadership essentials, customer experience, and employee engagement. An accomplished public speaker and TV commentator in Canada (for the national news station CP-24), Edward still meets with clients to consult on their issues, develop solutions and deliver riveting interventions. While based in Dubai, Edward’s responsibilities require him to travel across the globe to oversee operations and meet with clients from all industries.